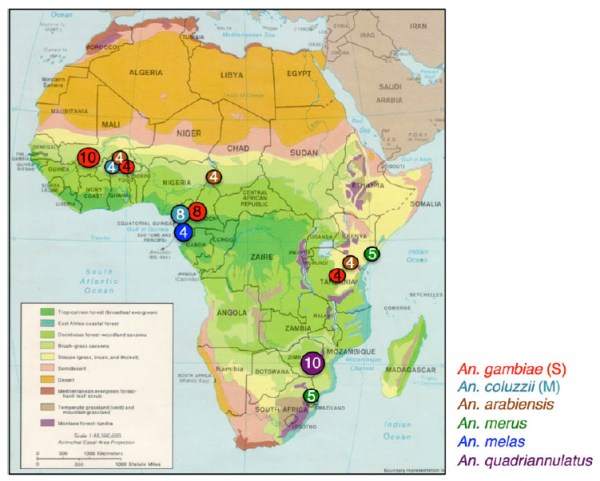 A major human health concern centres on diseases transmitted by blood-feeding insects, including malaria, dengue fever, and filariasis. 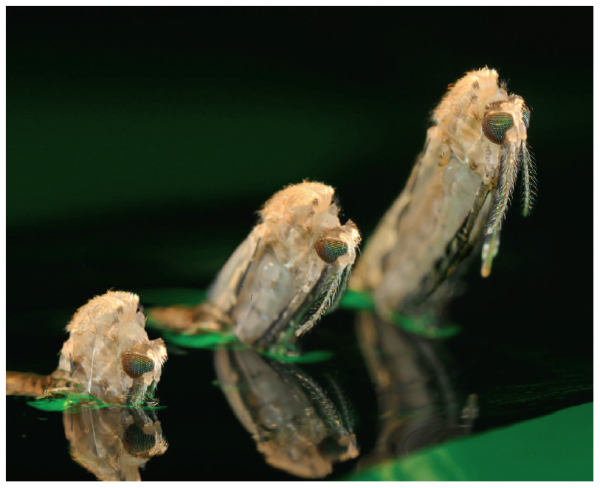 Declining successes with pesticides necessitate novel vector control approaches with detailed biological understanding facilitating targeted interventions that limit ecological knock-on effects. 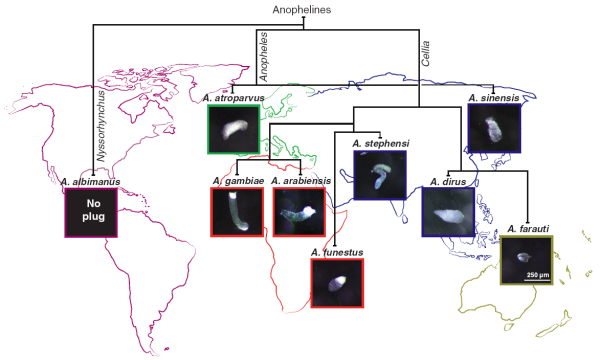 Growing concerns over global climate change augment the urgency as expanding habitats and rapid adaptability make the threat greater than ever before. 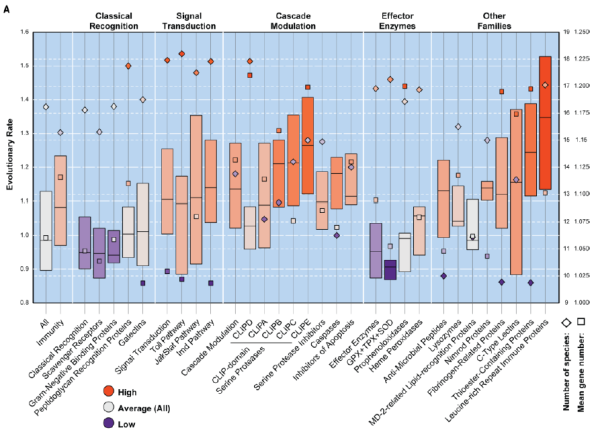 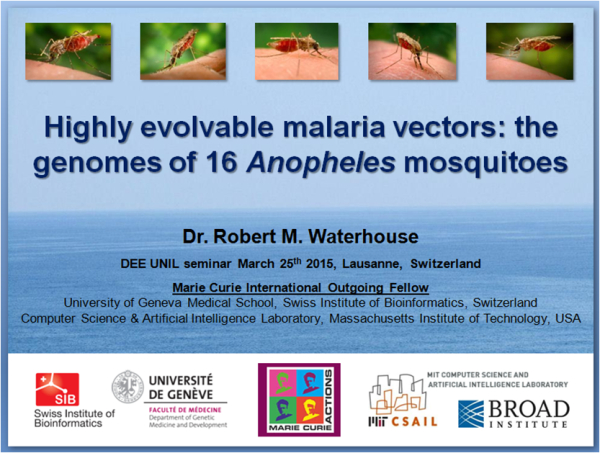 Of ~500 anopheline species, only about two dozen transmit human malaria, with vectorial capacity varying greatly among even very closely-related mosquito species, making the understanding of what defines an effective malaria vector critical to developing successful controls. 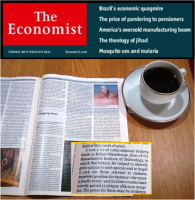 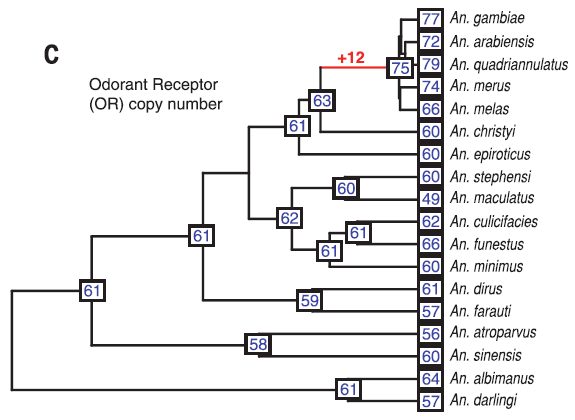 These variations, and other characteristics such as insecticide resistance and chemosensory abilities, derive from an underlying genetic basis, thus, to address this question requires dissection of genetic determinants of observed diversity in behavioural and physiological responses. 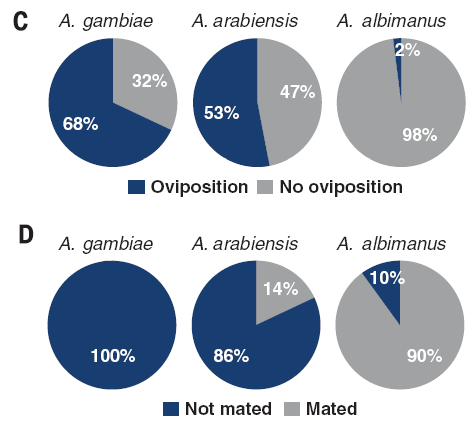 The sequencing of multiple anopheline mosquito genomes has successfuly built extensive genomic data resources to facilitate the examination of the evolution of genetic determinants of vectorial capacity. 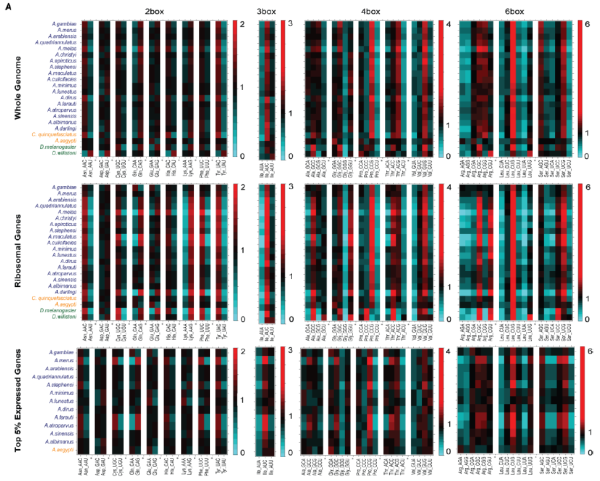 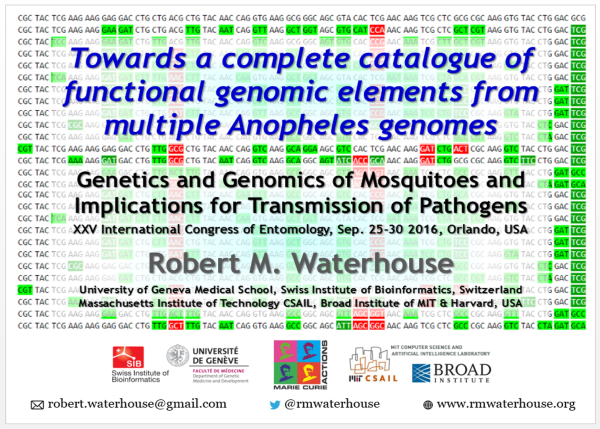 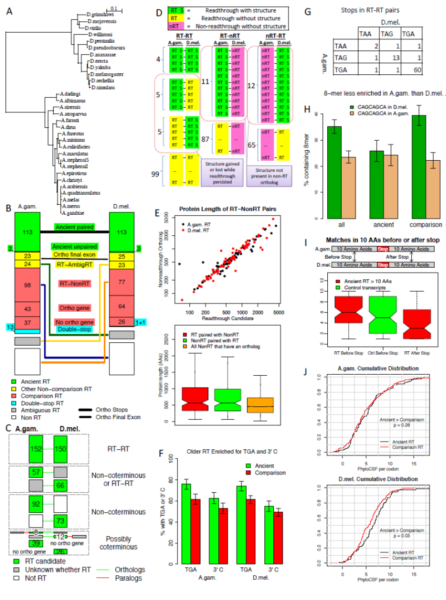 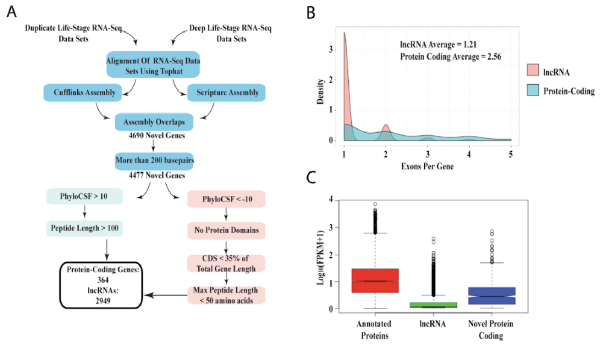 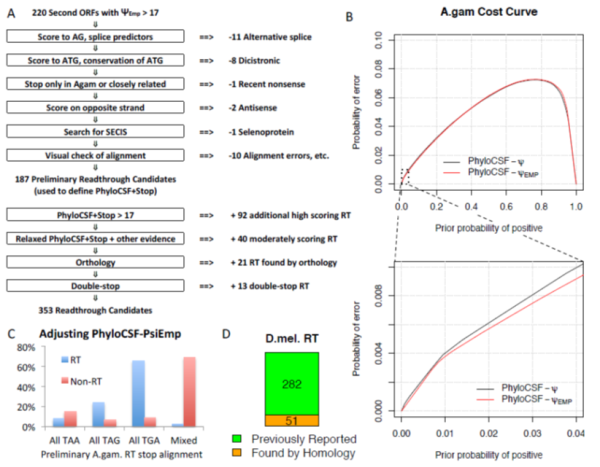 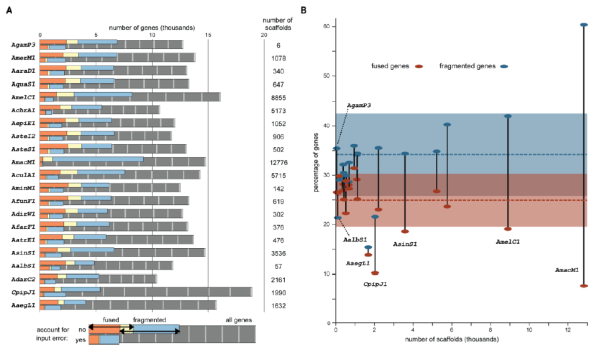 This includes the development and deployment of computational strategies to interrogate multiple mosquito genomes for patterns of natural selection shaping the repertoire of functional genomic elements governing mosquito biology. 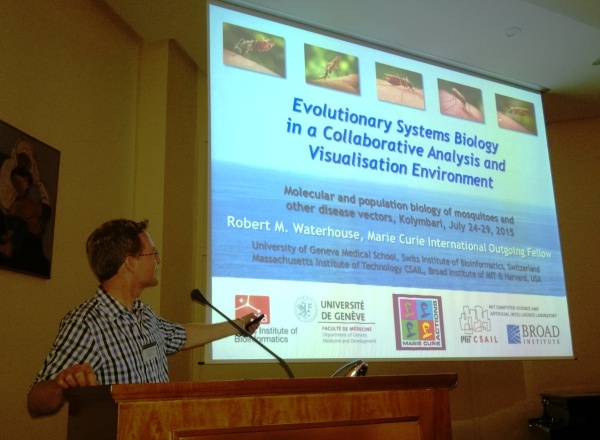 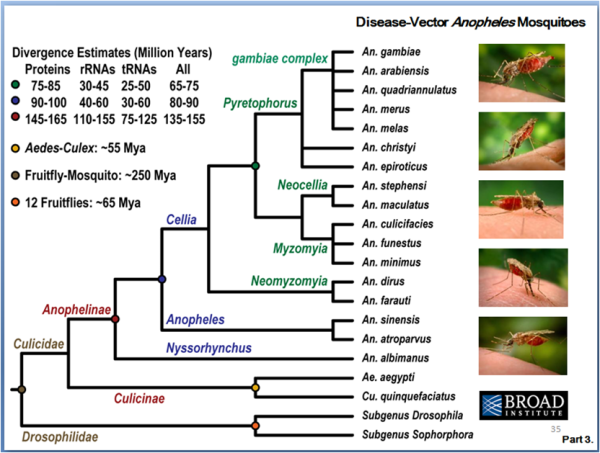 The comprehensive, phylogenetically informed, comparative genome analysis of multiple mosquito species with variable vectorial capacities and eco-ethological characteristics significantly advances our understanding of the biology that underlies transmission of vector-borne diseases. 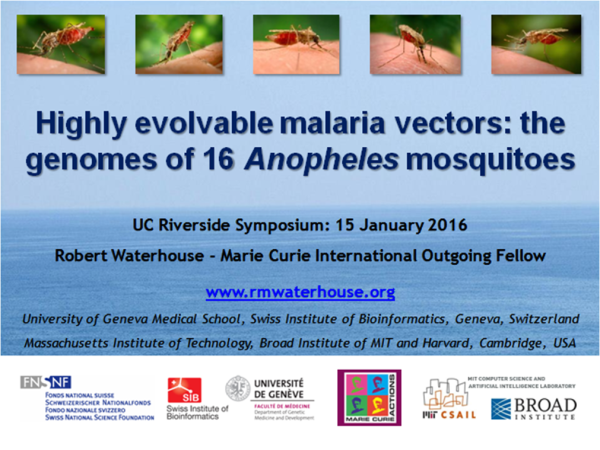 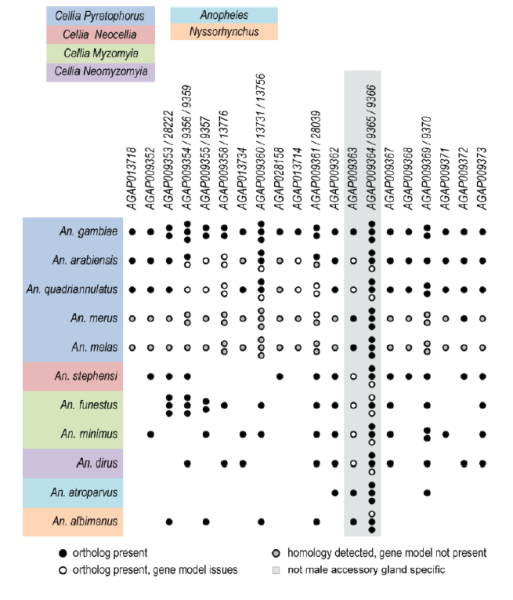 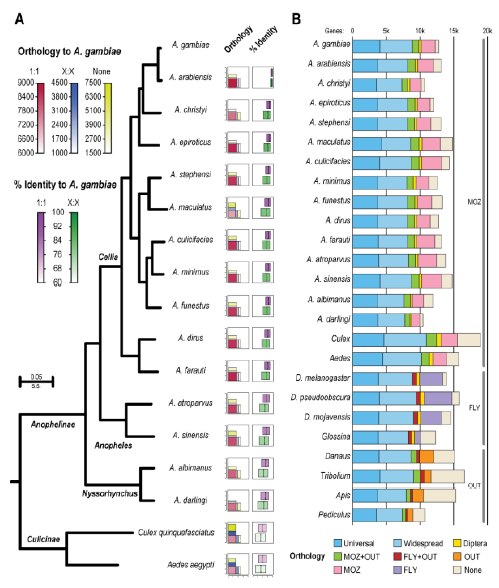 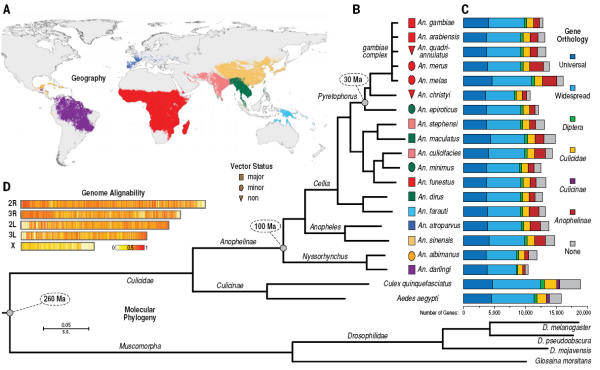 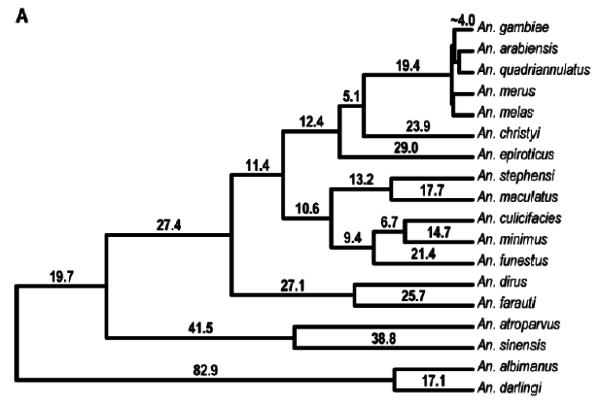 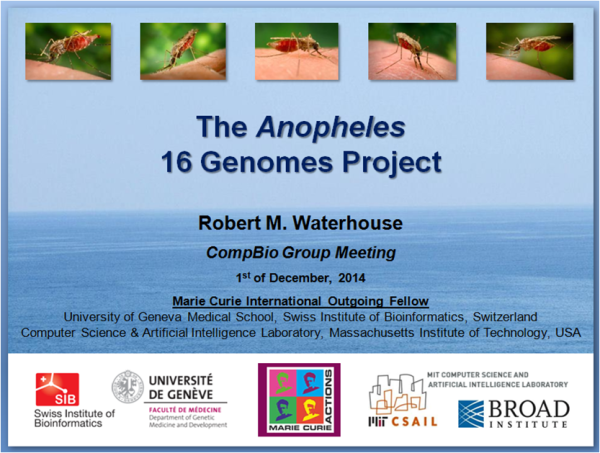 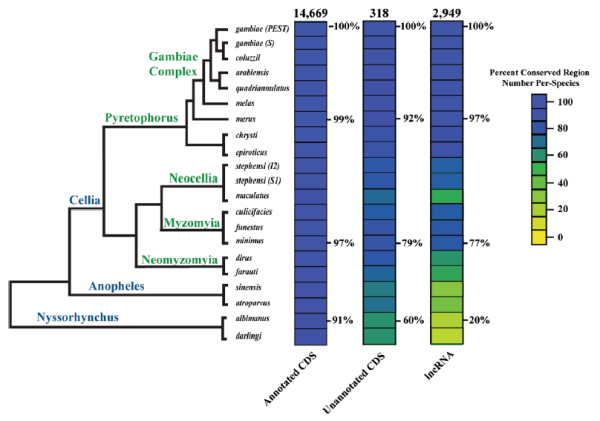 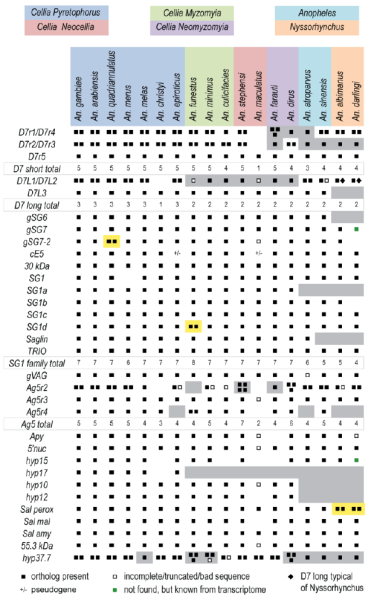 Highly evolvable malaria vectors: the genomes of 16 Anopheles mosquitoes. 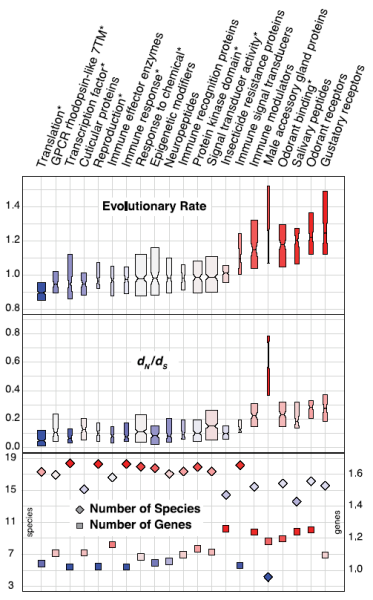 Science , 2015, Neafsey DE, Waterhouse RM, Abai MR, Aganezov SS, Alekseyev MA, Allen JE, Amon J, Arcà B, et al. 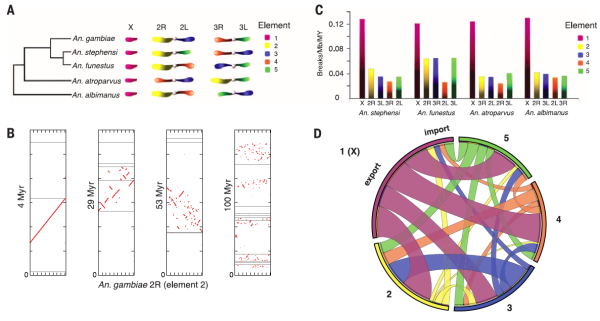 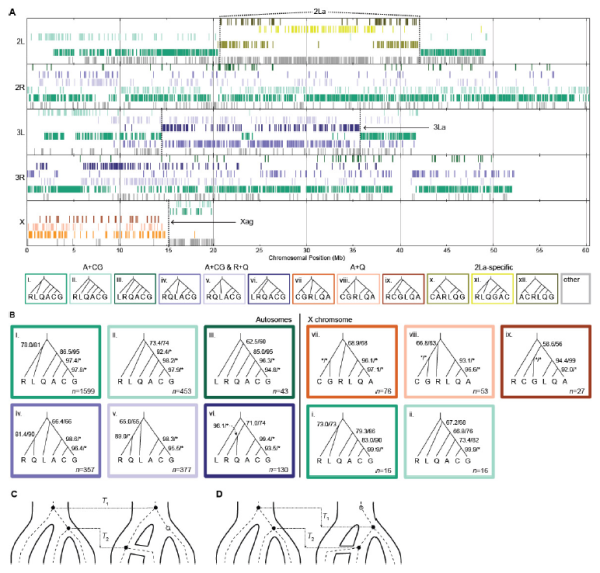 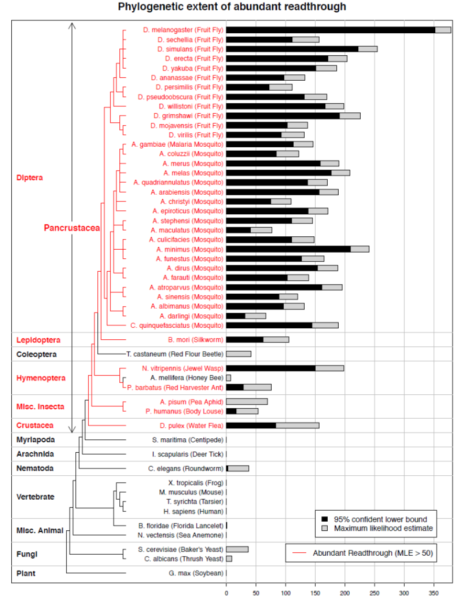 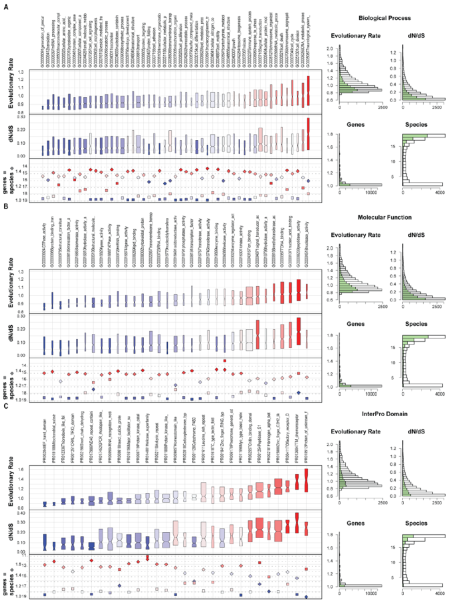 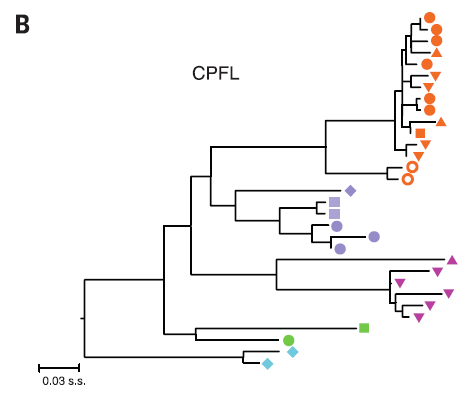 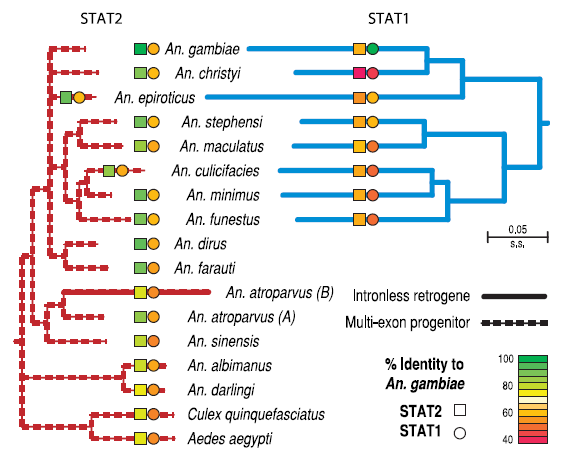 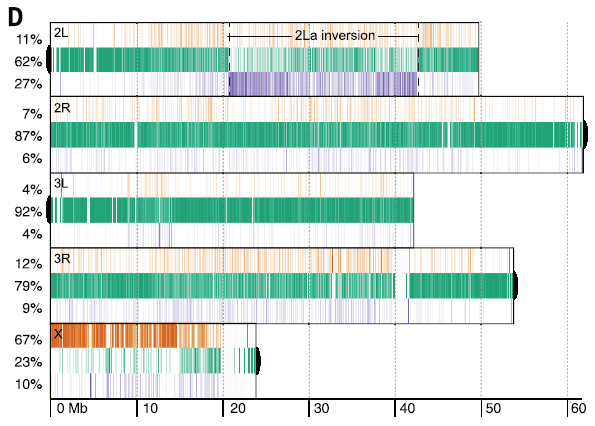 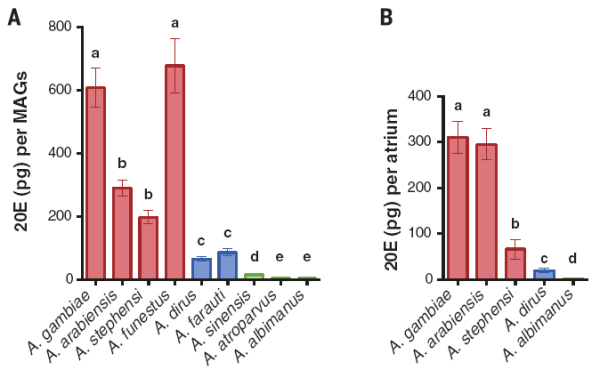 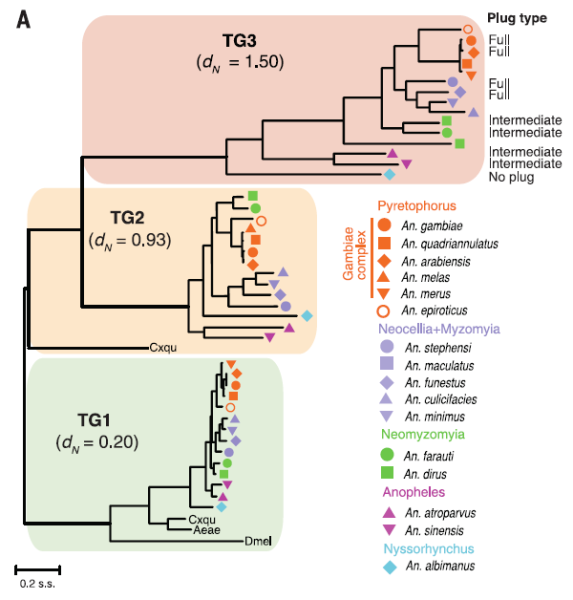 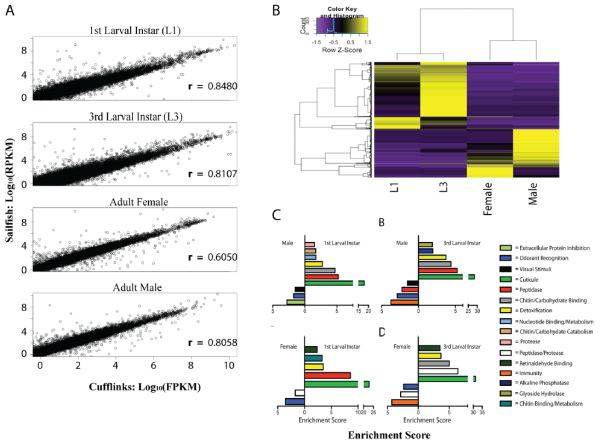 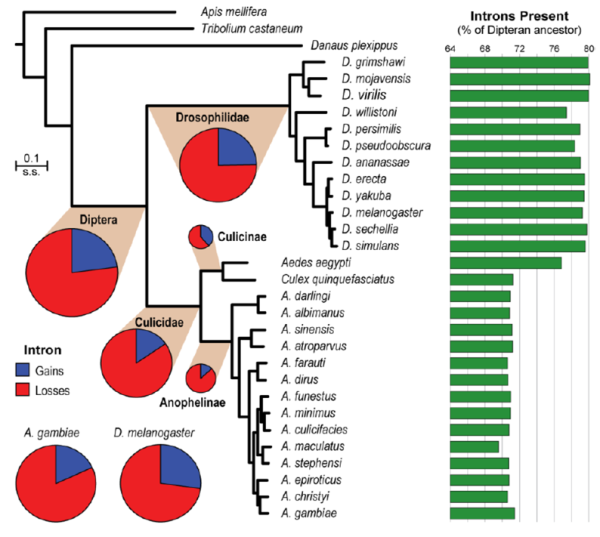 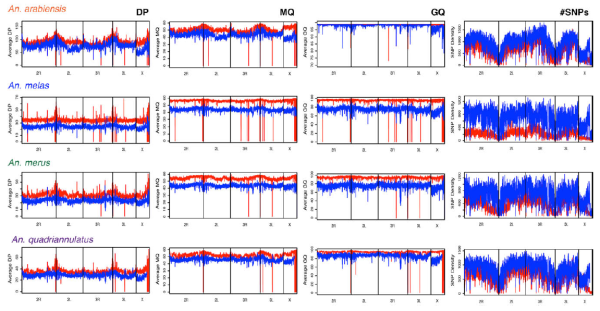 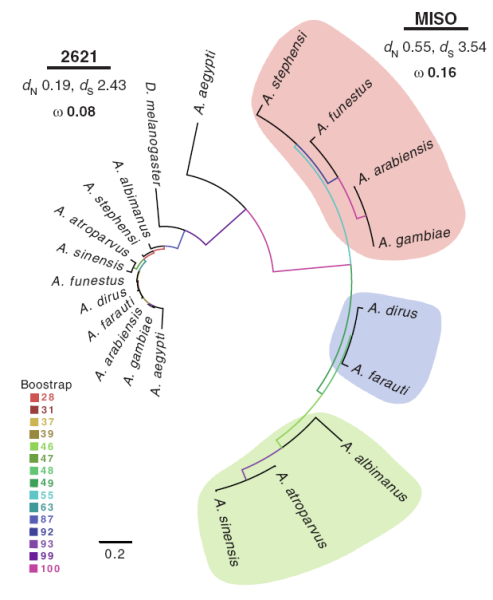 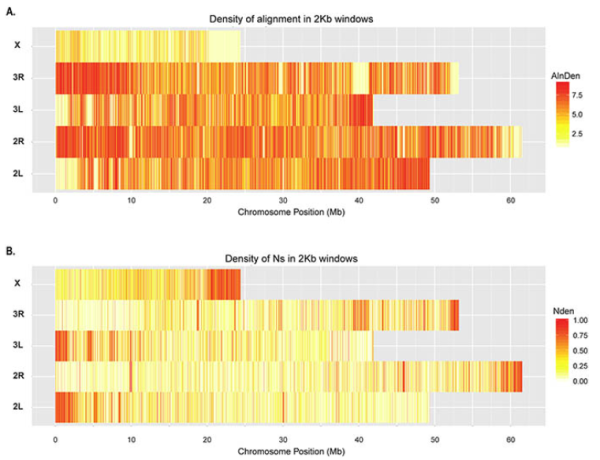 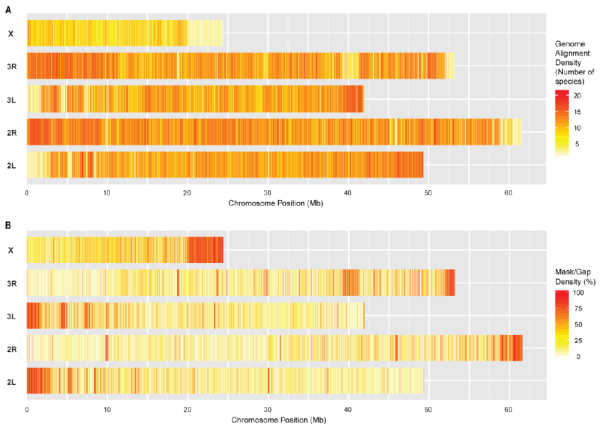 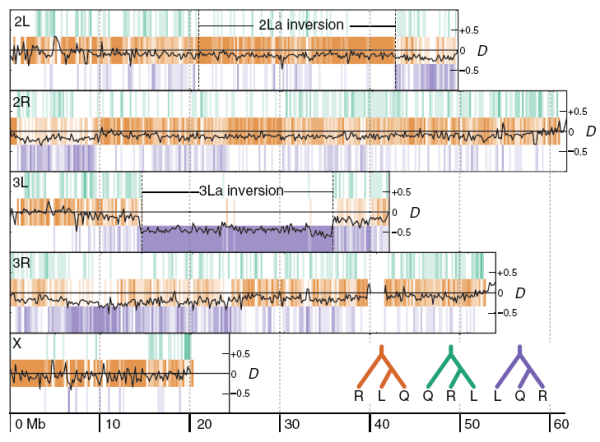 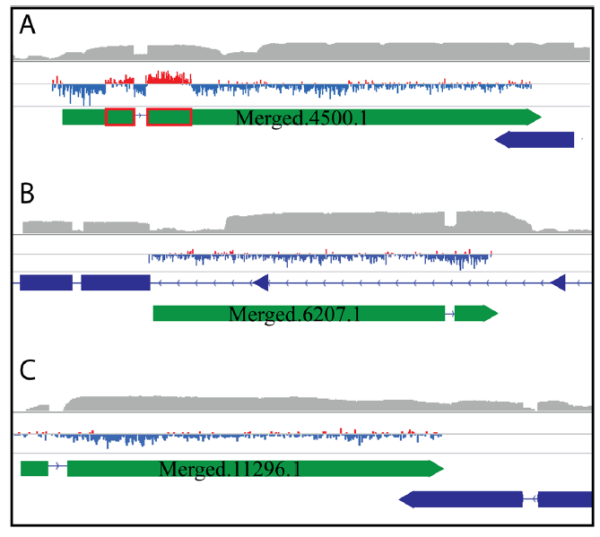 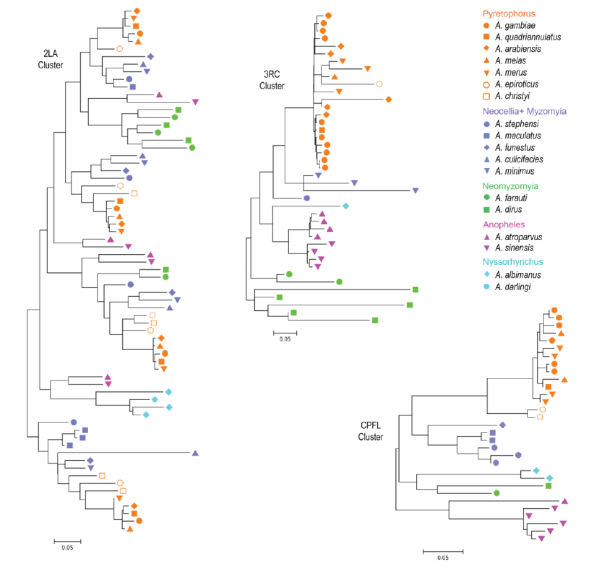 Extensive introgression in a malaria vector species complex revealed by phylogenomics. 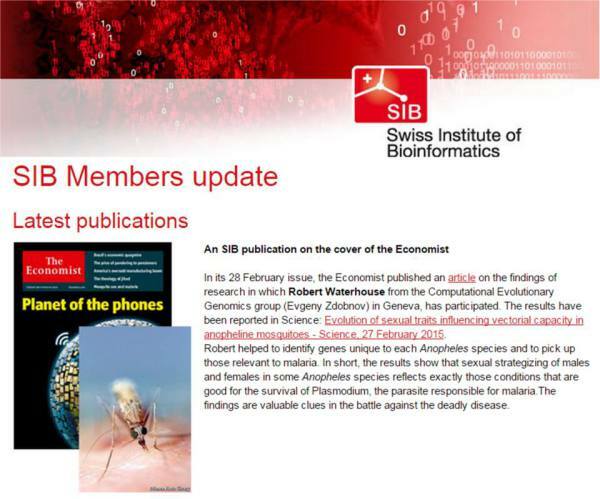 Science , 2015, Fontaine MC, Pease JB, Steele A, Waterhouse RM, Neafsey DE, Sharakhov IV, et al. 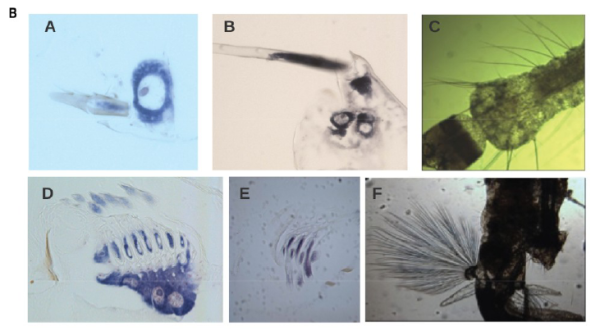 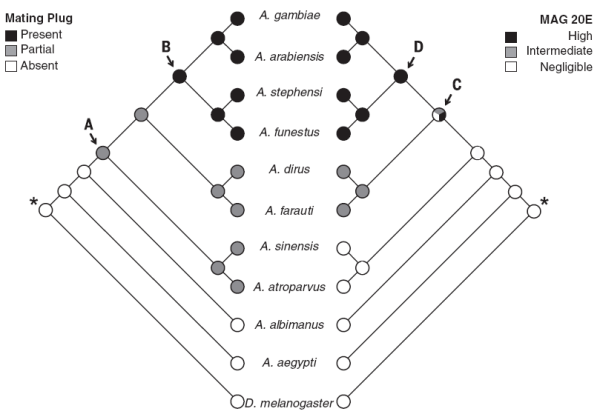 Evolution of sexual traits influencing vectorial capacity in anopheline mosquitoes. 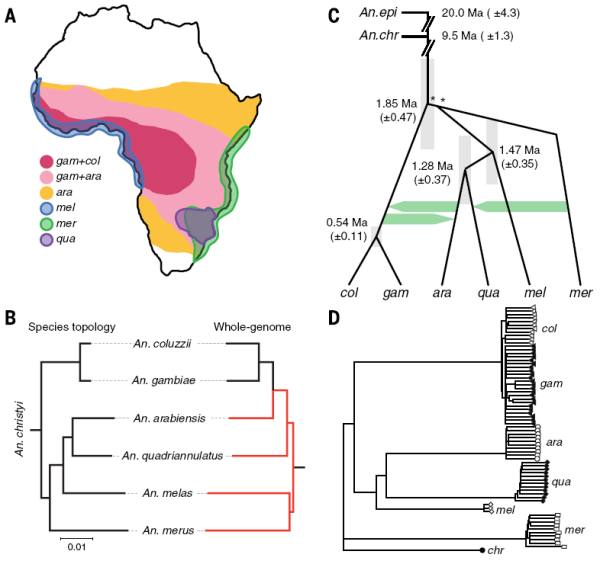 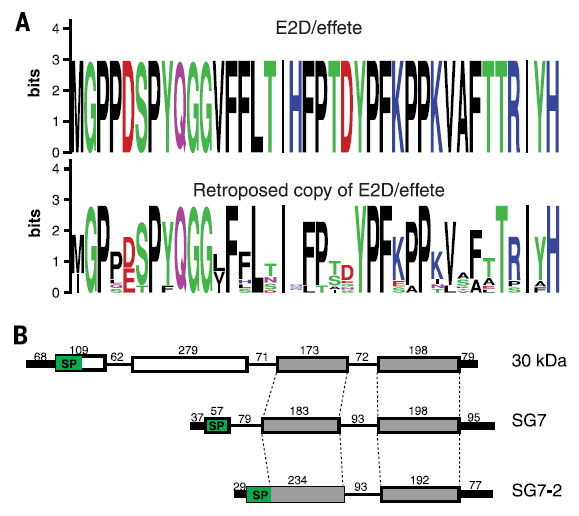 Science , 2015, Mitchell SN, Kakani EG, South A, Howell PI, Waterhouse RM, & Catteruccia F.
Long non-coding RNA discovery across the genus Anopheles reveals conserved secondary structures within and beyond the Gambiae complex. 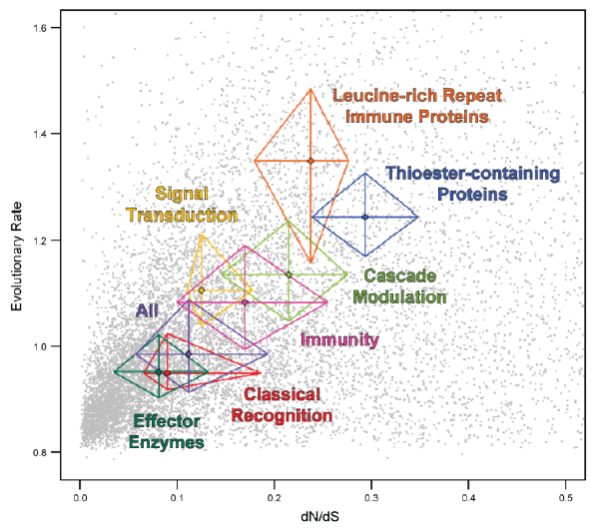 BMC Genomics , 2015, Jenkins AM, Waterhouse RM, & Muskavitch MAT. 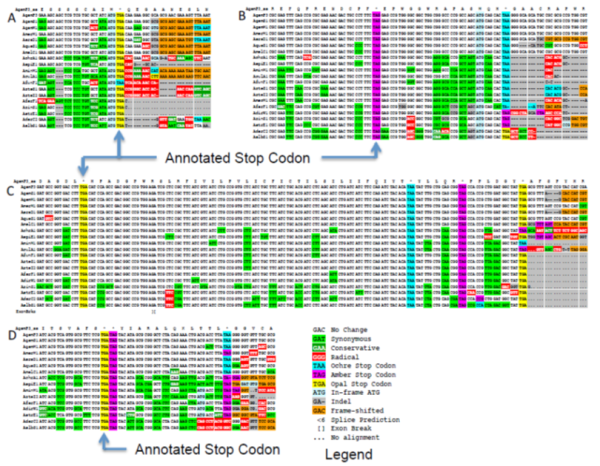 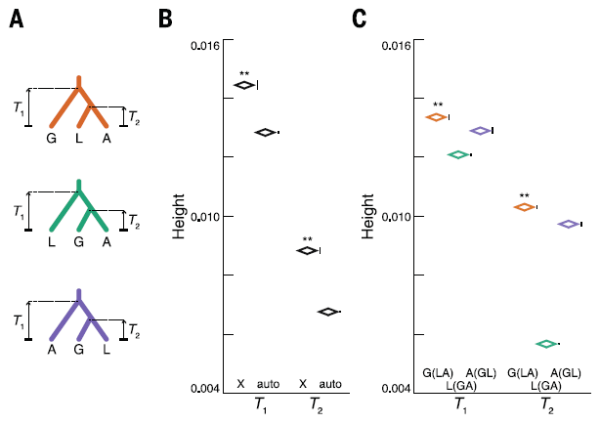 Evolutionary dynamics of abundant stop codon readthrough. 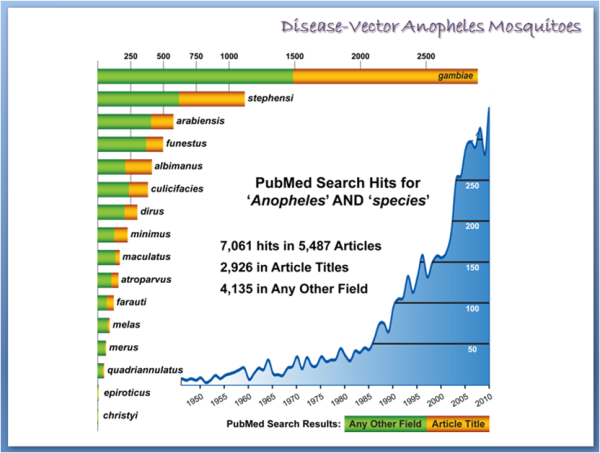 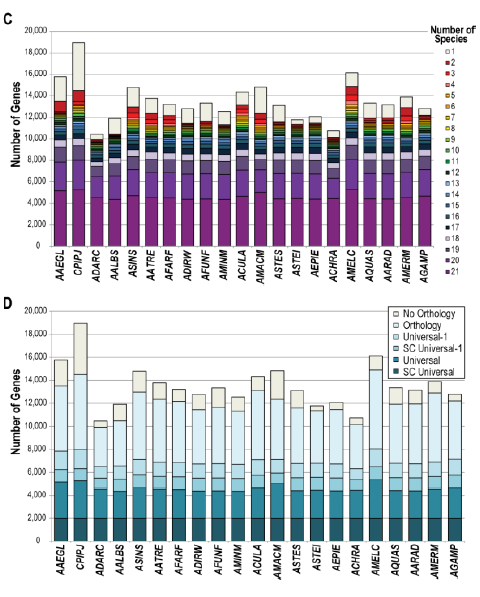 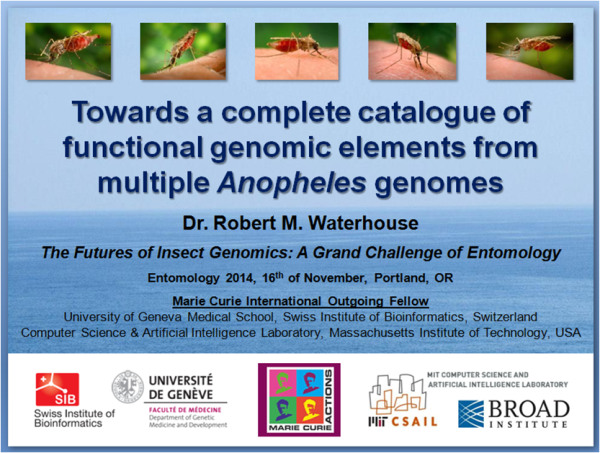 Molecular Biology & Evolution , 2016, Jungreis I, Chan CS, Waterhouse RM, Fields G, Lin MF, & Kellis M.
For additional publications linked to the Anopheles 16 Genomes Project, visit this Google Scholar page. 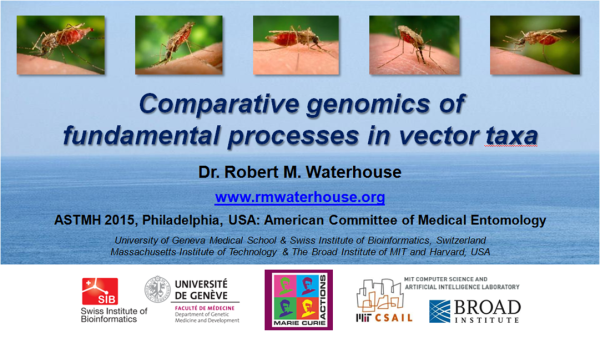 Genomic resources are hosted at VectorBase , a National Institute of Allergy and Infectious Diseases (NIAID) Bioinformatics Resource Center (BRC) providing genomic, phenotypic and population-centric data to the scientific community for invertebrate vectors of human pathogens.